A mother-daughter brewing team blazes the trail for local, delicious, and expertly produced craft beer. It's not hard for Anne Sloan to come up with taglines for the brewery she runs with her mother, Brey Sloan. "We are locally owned and operated, of course," she begins, ticking the phrases off on her fingers one by one. "But we are also family owned and operated, women owned and operated, veteran owned and operated, and as far as we know, we are the only mother-daughter brewing team in the country." With a wide smile, and welcoming presence, and a mind full of craft beer knowledge, Anne Sloan is the type of person you would hope to have teach you about the ins and outs of different beer profiles and pairings. Likewise, matriarch Brey Sloan is the type of person you would hope to have making your beer: a brewmaster of the highest caliber who has spent decades perfecting her craft at home and abroad. A retired army colonel, Brey Sloan began her foray into home-brewing back in 1992, when an army school colleague used an assignment about teaching a process to instruct his fellow students to make beer. "That's where I made my first beer," Sloan laughs. "It wasn't very good, but I was hooked from that moment on." Sloan began a training course, apprenticing at the Bayern Meister Bier Brewery in Fujinomiya, Japan. Upon her retirement from the army, she went on to earn an International Diploma in Brewing Technology, studying first at the Siebel Institute in Chicago and then at Doemens Academy in Munich, Germany. Arming herself with as much knowledge as she could gather, she prepared to open up a commercial brewery with her husband. While in Germany, tragedy struck the Sloan family. Brey Sloan received word that her husband, Rick, had unexpectedly passed away. Crippled with grief, the family banded together to support each other. After a time, they began to slowly adapt to their dramatically different household dynamic while working out their "new normal," and Sloan eventually turned her attention once again toward the dream she and her husband shared together. Her daughter, Anne, offered to take over the responsibilities her father would have assumed at the brewery, and with that, the pair teamed up to open Augusta's first commercial brewery since prohibition ended in the 1930's. Currently, the brewery produces four core brews in addition to limited releases and experimental options often tested at the tasting room. 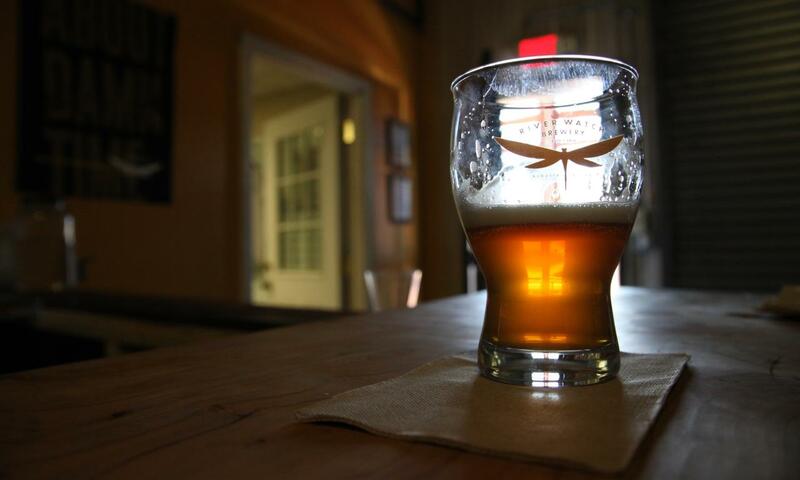 The brewery is open to the public on Fridays and Saturdays, where tours run regularly and the tasting room taps flow. "Augusta is one of those paces that cares a lot about local businesses," Brey Sloan says. "And the support of the city, especially from bars and restaurants who were excited to give us a tap spot in their draft system, has been a huge help. It feels so good to be part of the mosaic that makes Augusta such a special place - and to be appreciated by our fellow citizens to readily."